Last Thursday I attended a private screening of The Muse, a short film by renowned fashion photographer Tim Walker and starring Ben Whishaw and Kristen McMenamy. 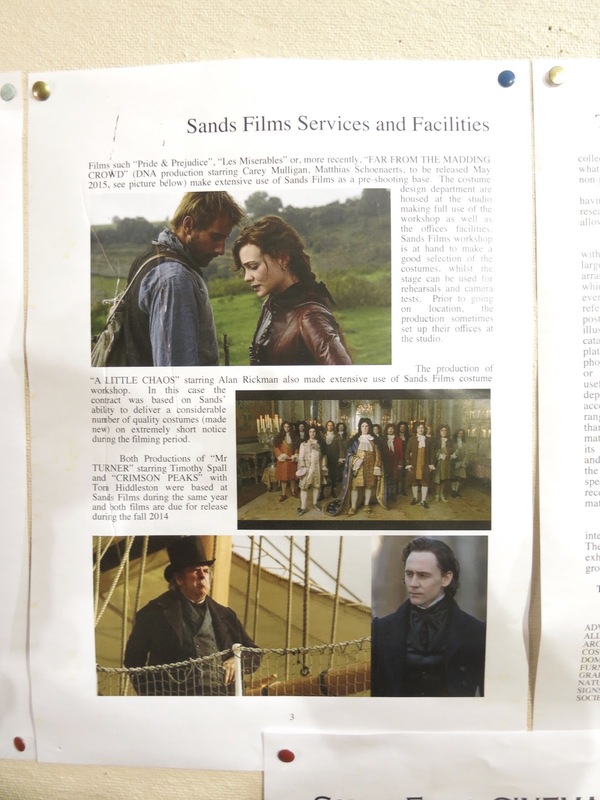 The event was hosted by We Are Colony, and held at Sands Film Studios in London, an independent British film production studio that is also known for producing costumes for period dramas such as Bright Star, The Young Victoria, and Les Misérables. Upon arriving to the location at 6.30pm, we were served drinks and proceeded to have a little wander around the studios. 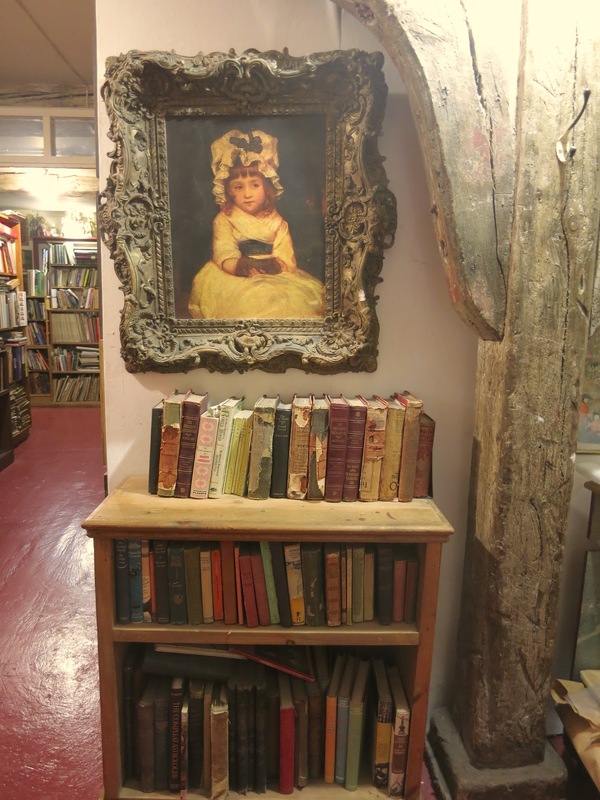 The entire venue is an old fashioned dream, scattered with oil paintings, old books and mannequins displaying lavish period stye costumes. The sitting area at the front leads into a library which then winds around to the cinema area where the screening would later take place. Hi Ben, who is your muse in real life? 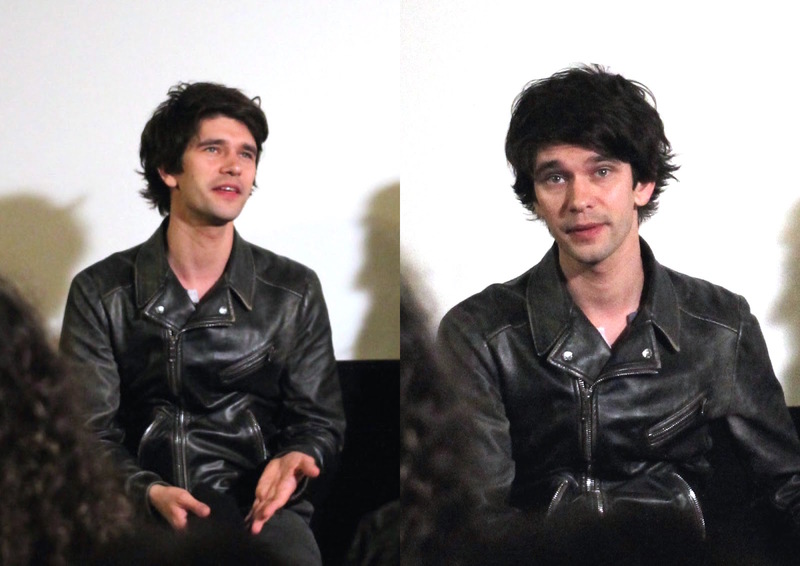 Ben Whishaw: Is it bad that I don't know exactly what a muse is? What does it mean? A person who inspires you. BW: No I don't think I have a muse. It would change all the time, different things would inspire me. The characters you play or the words on the page I guess. BW: Yeah, but anything really can inspire you. I get a lot of inspiration from seeing how the great work. All sorts of things, not necessarily film or theatre. What about you Tim? Kristen being quite a significant one. Can you talk a bit about how the idea for The Muse came to be? TW: Basically I took some photographs of Kristen as the mermaid and because she looked so exquisite when she moved, we just grabbed the super 8 camera, took some footage and got the exposures back. Mia (producer) came in and saw the footage and said "We gotta make a film. There's all the poetry and magic within the movement." And that's how it happened. Has a character ever changed your perspective on life or taught you something? BW: Jesus Christ, (laughs) yes probably but I don't know. Everything does, I mean, I couldn't really say. I'm sorry to be evasive but it is very hard to... I don't quite know. I think everything has an impact on you and for the moment that you're doing it does change the way you see things of course because you're inhabiting a different spectacle of something. I'm not sure anything long lasting has ever happened from playing a role. What's your favourite time period that you've worked in? TW: Timeless. I don't know perhaps a bit of fifties mixed with medieval. BW: I really like medieval. I did a Shakespeare and it was fabulous. BW: It was the long gowns and it was the crown. (laughs) I think it reminded me of being a child, it's that kind of dressing up. Nothing else is quite that extreme. Do you have any burning ambitions? TW: I'd love to make a feature film, maybe direct a play, I have many ambitions. Like everyone else in here I'm sure. Ben, what are your ambitions in the film space? Particularly, do you want to direct a la Ryan Gosling? BW: I haven't seen his films so I can't say but yeah I'd be interested to. I'm always aware that maybe everyone thinks that they can do everything and you just can't. Maybe I should just stick to acting. But I'd be lying if I said I didn't dream about it and tinker around with ideas in my head. But that's a very different thing to actually making a film. BW: I'm not a very good writer. I like other people's work. Is there any difference in preparation between a feature film and a short film like this one? You've done a few shorts recently, is it important to you to support new talent? BW: I think it's really exciting, you can find really amazing voices because again, people aren't thinking really commercially, they're just trying to realise an idea. All the shorts I've done I'm really proud of, this one included. They really have a voice and a vision and something distinct about it. Tim, you've now done three, can you talk about that journey through shorts? TW: I'm a photographer, that's how I started out. Taking stilled photo and then leaping into filming, trying to tell a story that's quite clear, because with photography you're not ever telling a specific story, you're suggesting a mood, you're always suggesting things. Whereas in film I think you have to give the audience a narrative and a development of character that's so different from photography. I wanted to have a go at making some film, it's a big leap and I don't think you can go to making a film that's gonna last over an hour. From the photography you've got to really cut your craft, get a crew together and learn the language of telling a story within film and that's a really different from photography so all my experiences from film-making is me just learning. It's a learning curve. Tim, you've found inspiration from the Pre-Raphaelites, because I saw within the film, Elizabeth Siddal and there's Ophelia in the background, I was curious to what you felt about their work and whether that came through into the film, was that in your subconscious while making it? TW: It was, Elisabeth Siddal is a character that actually Kristen and I were talking about who she is, Siddal was the wife of Rossetti and she was in famous painting by Millais, the girl floating down the stream and she posed for that. Really Kristen was that character in my head. The work of the Pre-Raphaelites and who they were was very much a mood that I was tapping into that whole time. You've taken something quite two dimensional and then the ability to make that almost three dimensional with film, how do you think that will reflect your future work? TW: I think it's quite interesting to say that, looking at something that isn't 2D or the work of the Pre-Raphaelites and you don't really know the 3D-ness of it and I think that that's the adventure of making film. It's like walking into the woods, you don't really know what's in there. You take your inspiration from that painting there and you don't really know what it's gonna be and I think that's gone into making the mermaid film. We didn't know how it was gonna look as a 3D world. That last scene we did with Ben when he was drowning in the tank, it was so rushed and panicked, could he hold his breath? You go into that 3D world, not really knowing if it's gonna work, I think that's the joy and the fun and the danger of making a film. The film is about an obsessive character. Can you relate to that in any way? TW: I went to see Annie Leibovitz receive an award and they made a film about her and her life. They filmed one line, moving across her work and there was John Lennon and Yoko Ono, and then there was Obama and all these famous people. Then the camera went back down again and there's another line (of photos) and I thought that's just such an extraordinary life. The camera carried on moving and then it went down to another line and another line and it's just like I was thinking to myself at that point, this lady is so obsessive to the point where it's peculiar, taking all those photographs, but then I thought, hold on a minute, I'm a photographer as well! I think I'm just as obsessive and I think in a way, to succeed as a photographer, you have to be obsessive to the point of it being unhealthy. And Ben, is there an element of obsessiveness in one's art that you can relate to? That you see manifested in a character? Does it exist in you? Do you ever go to extremes with what you're doing? BW: Umm, I don't know. I can't really relate to it in the same way that Tim has just described. No, to be honest. With your work, do you have a set formula of considerations for accepting or declining a role? BW: No, I feel very open. The more unexpected, the better I do. I'm more drawn to things that I feel like I can't do or won't be very good at. So no, I don't have a criteria. It's an instinctive thing. The Muse is available to watch now on the We Are Colony website. Also, your hair = aces. 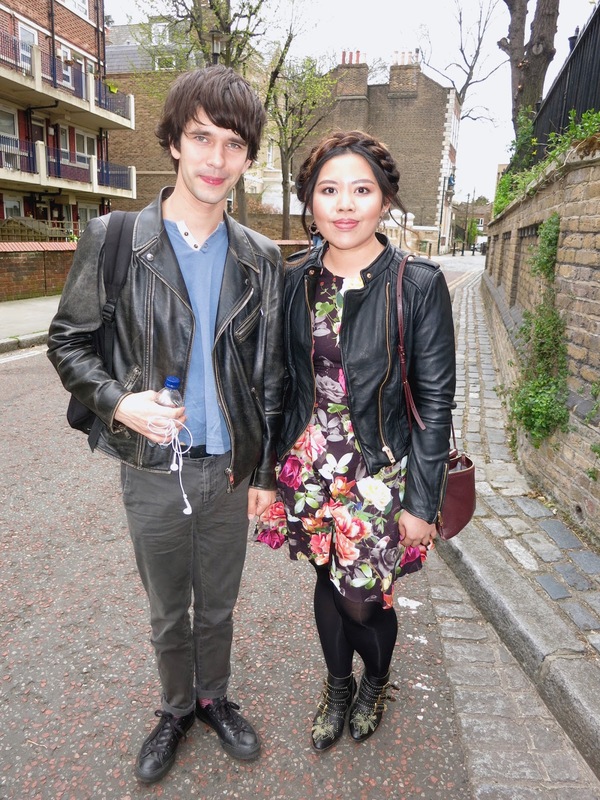 U both wore awesome leather jackets! x A. ♥ ♡ ♥ Being Ashleigh - Lifestyle and Fashion blog ♥ ♡ ♥ // I have a giveaway running this weekend! This is so awesome! And you look super cute.